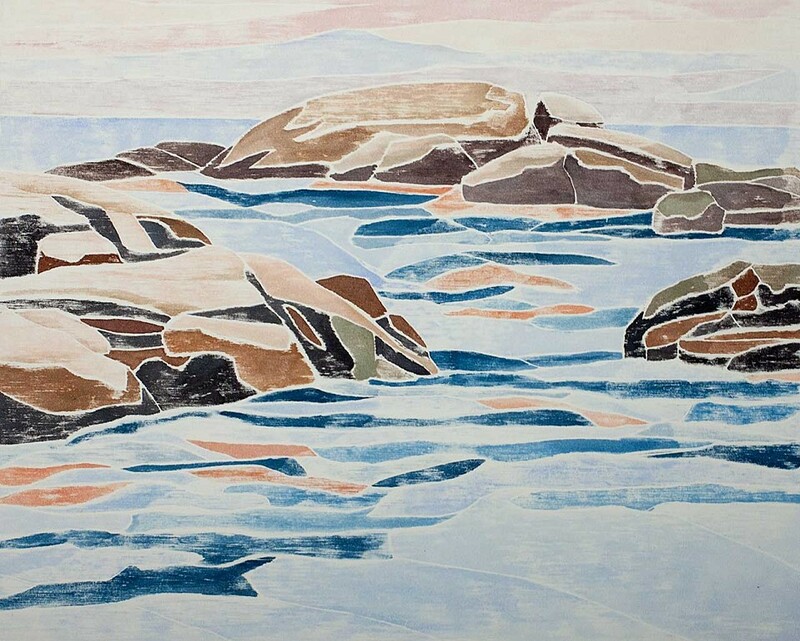 Pyramid Atlantic founder Helen Frederick has curated the exhibition Noesis: 12 Printmakers Looking Intuitively at the World at the Cosmos Club. The Cosmos Club is a private club, but we did want to mention the exhibition because we saw so many familiar names, including current members Rosemary Cooley, Jenny Freestone, Trudi Y. Ludwig and Margaret Adams Parker. Additionally, we’re pleased to see former member Fleming Jeffries and WPG friends Elzbieta Sikorska as exhibitors. If you are a member of the Cosmos Club (or friends with one! ), this exhibition will be up May 16-September 8. What a month! We have Beneath the Old Masters: Evolution & Process by Trudi Y. Ludwig, Ba beneen: Senegal 2012 by Dale Klein in the Press Room, and our 4×6 membership show where each print is only $50! Pop it in a 4×6 frame and it’s ready to gift (or to be enjoyed on your own wall). Come in this Saturday, 1-4 pm for our opening reception–there’s much more to be seen! There is no BLACK. Extending pigments turns tar-based blacks to blue, bone-based black to brown. Choosing WHITE can be an impossible task when pitted against hundreds of choices. RED pigment demands attention, whereas “Read” is abstract. Our eyes perceive and absorb what we choose to comprehend. This exhibition runs through December 15. The opening reception is November 13, 12:00-1:30, and, the next day, Guest Artist Cyndi Wish will demonstrate mixed media monoprinting, followed by an Open Forum Discussion led by Guest Curator Cecilia Rossey, “Mixed Media Artists: Content, Technique, Media.” More details on the exhibition, as well as an image gallery, can be found at the link above. Posted on October 12, 2012 by wpgmembers | Comments Off on New shows added! We’re so excited because we just published our December and January shows to the upcoming exhibitions page of our website! Trudi working on “The Exposure of Luxury,” image courtesy of Scott Ponemone. 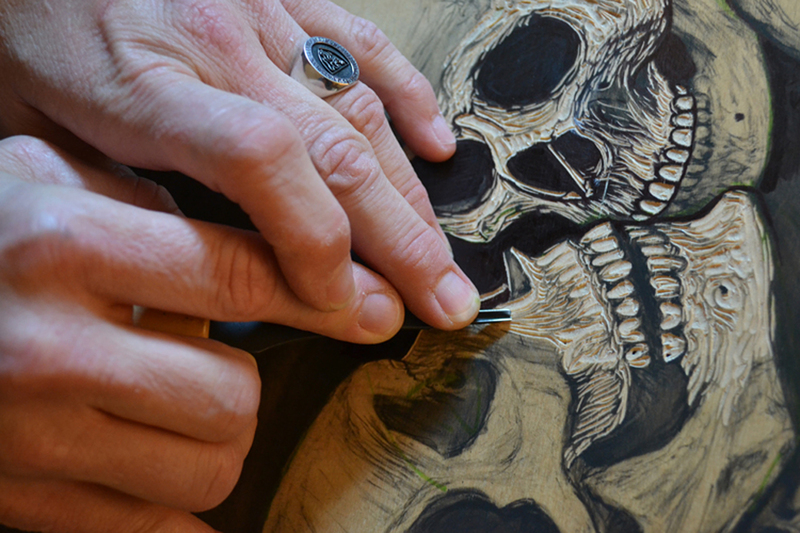 In December, we’ll have Beneath the Old Masters: Evolution and Process by Trudi Y. Ludwig. The show-stopper of this, well, show, is The Exposure of Luxury (based off of Agnolo Bronzino’s 16th century Venus, Cupid, Folly, and Time), the second life-size woodcut of stripped down–literally stripped down to their bones–classical paintings she has completed, the first being Primas Veritas from almost a decade ago. Want to know more? Scott Ponemone did a great interview with her here. Also in December, we’ll have Dale Klein of Rochester, NY in the Press Room with her thought-provoking mini-solo, Ba beneen: Senegal 2012. Inspired by the time her daughter spent in Senegal during her junior year of college, Dale took a trip there herself in June of 2012. 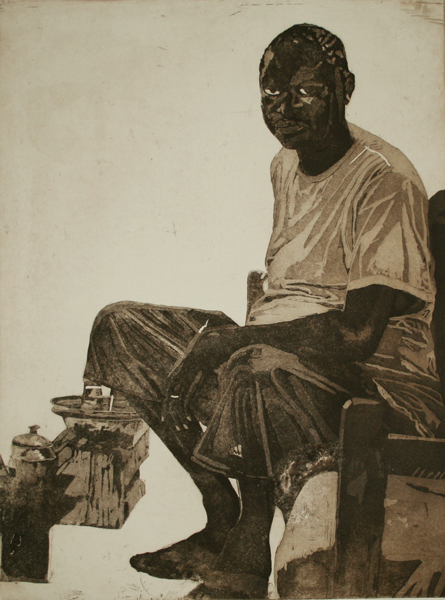 In the prints exhibited here, she seeks to record the precariousness of Senegal’s fragile democracy, the gentleness of the Senegalese people, and the challenges they face due to government corruption and unequal access to education. Finally, January marks the 10th anniversary of the January Invitational series. 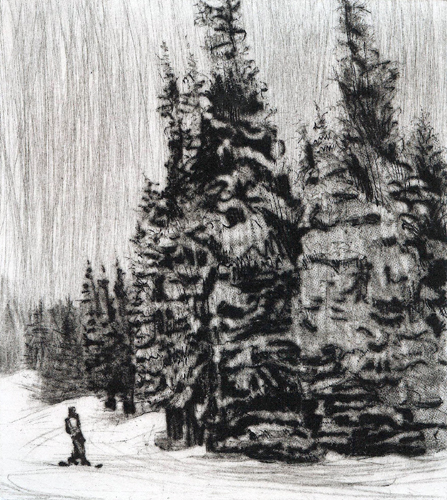 Starting with Jack Boul, we’ve featured some wonderful artists and artist-groups including the New York Society of Etchers, Simon Brett, Helen Frederick, Renee Stout, and Lou Stovall. This year, we are pleased to present Professors of Print, featuring seven area printmakers: John Carr (Montgomery College), Georgia Deal (Corcoran College of Art and Design), Donald Depuydt (Northern Virginia Community College), Elizabeth Klimek (Corcoran College of Art and Design), Kay McCrohan (Montgomery College), Dennis O’Neil (Corcoran College of Art and Design), and Justin Strom (University of Maryland). Mark you calendars and we hope to see you this winter at WPG! Comments Off on New shows added! 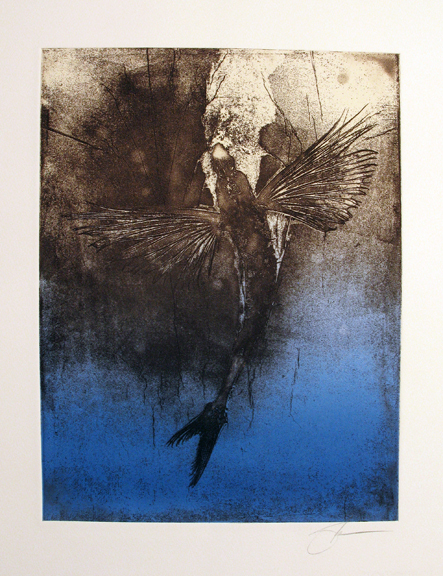 Rosemary Cooley will be participating in the exhibition “Printmakers and Paint” at the Studio on Slough Road in Cape Cod. This exhibition is curated by former WPG member Cicilia Rossey and runs now through September 30. If you’re in the area, the reception is Saturday, September 29, 5-7 pm. More details are at their website, above. Additionally, we’re pleased to see a strong WPG presence at the Luce Center for Arts and Religion (at the Wesley Theological Seminary, Washington, DC). This semester’s printmaking Distinguished-Artist-In-Residence is Trudi Y. Ludwig. Next Spring/Fall will be WPG member Margaret Adams Parker, followed by Ellen Verdon Winkler. Way to go, ladies! We’re looking forward to the new year! Mark your calendar now for our upcoming exhibitions. We hope to see you around! January-New York Society of Etchers Invitational–-we kick off the year with a fantastic show by ten members of this esteemed group. You can read more about them in our winter newsletter. The show is up starting January 4, opening reception on January 7, 1-4 pm. February–2nd Annual Excellence in Printmaking Exhibition–this exhibition, which grew out of the previous award, recognizes emerging printmakers. Our juror this year is Joann Moser, Senior Curator at the Smithsonian American Art Museum. March–ARTsparks, rekindling the gift, solo by Marian Osher–Marian has over 50 prints that she has pushed past the flat plane of the paper into mixed media, multi-dimensional monotypes on canvas. You can read more about her show in our newsletter. April–Pyramid Atlantic Member Exhibition–want to know what the artists are up to downstairs? It’s all here in Pyramid Atlantic’s member show! May–Ellen Winkler Solo Exhibition–long-time WPG member Ellen Verdon Winkler will have her second solo exhibition here since we’ve moved to Pyramid Atlantic. You can see many prints from her May 2011 exhibition at the link above. 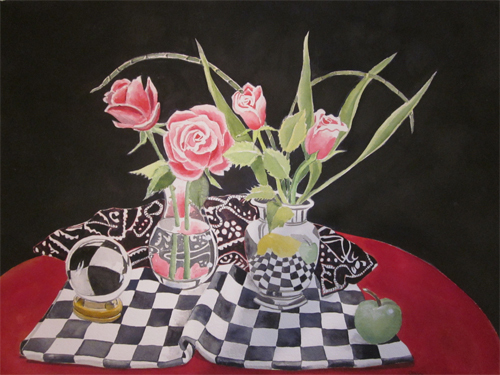 Bonus: Janet Yagoda Shagam will be exhibiting in the Press Room during May, as well! June–Ex Libris–June brings a very special exhibition to WPG. In April, artist member Rosemary Cooleycoordinated an exchange, where American printmakers exhibited prints in Shanghai. In June, a reciprocating group of Chinese artists will be exhibiting illustration-sized prints (hence the “Ex Libris” name) at WPG. This is another unique international exhibition that WPG is pleased to present, and we hope you’ll be able to come and see the show! July–Lee Newman group exhibition–You’ll have to check back to hear who Lee Newman has invited to share his exhibition month with him. Rumor has it that Jack Boul will be one of the artists! Eric Robinson will also be exhibiting in the Press Room. August–The 15th Annual National Small Works Exhibition–Wow! Fifteen years and still going strong! Like previous years, WPG will exhibit prints under 170 square inches from artists across the country. The juror is yet TBA. If you’re interested in applying, check back soon–the prospectus will go live in January. We are also excited to welcome Hannah Phelps, the 2011 grand-prize winner, as our solo exhibiting artist this month. September–Deron DeCesare–Deron was the very first solo exhibition we had after moving to Pyramid Atlantic. You may have missed it, if you either hadn’t found us yet or hadn’t realized we’d moved. Make sure you don’t miss it this time around! October–Nuong Van-Dinh Tran–This will be the first solo exhibition by WPG founding member Nuong in our new space. 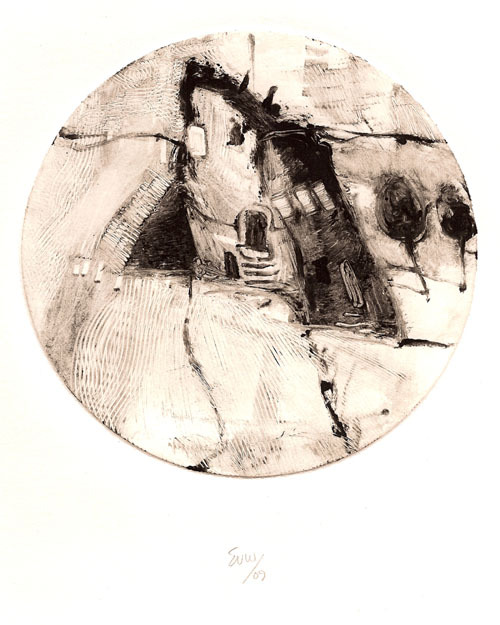 Check out some of her earlier monotypes and screenprints at the link above. November–Yolanda Frederikse–Yolanda is one of our best-selling artists, and you can see why–she has a beautiful color sense that is created in part by her unique process. She paints dye-based inks–often on location–onto a litho plate. This plate is then rolled through a press back at her studio to create the final monotype. Since only certain inks can be used, a very specific (and beautiful!) color pattern emerges. December–Trudi Y. Ludwig–Did you see Trudi’s show-stopping piece “Dumb Luck” at her last exhibition in our Dupont Circle space? No?! You can see it here. We’re excited to see what Trudi’s next solo exhibition will bring a year from now!